One of my new favorite stamps (aren't they all my favorites) is the Ink Splash from Neat & Tangled. I used the provided free digi stamps (cake and sentiment), then I added the large and small Ink Splash to make the card festive. Small splats were used on the cake (dripping icing) and then masked off the top part of card so I could use the large Splat on the bottom. Clear Stickles applied to give it a little sparkle. Of course this card is being entered into the challenge at Neat & Tangled to celebrate their Birthday. 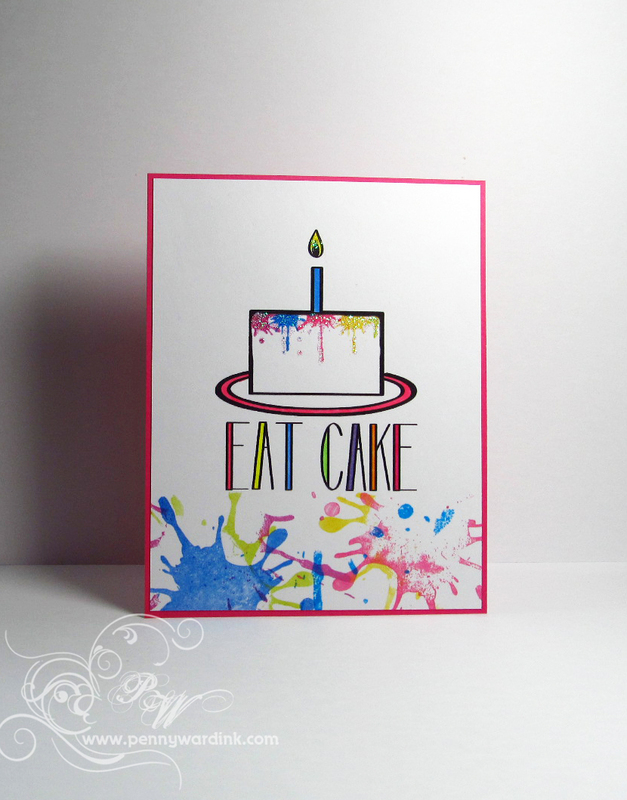 What a great card...love how you've combined the digi with the ink splash set! awesome glittery goodness! Thanks for joining us at Little Tangles! Genius...pure genius! 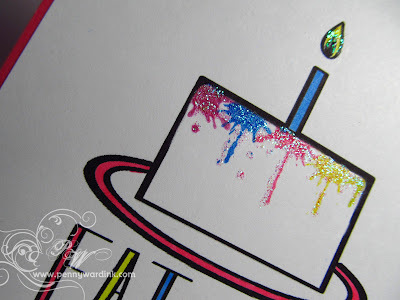 I love the splatter stamps with the cake stamps!! !